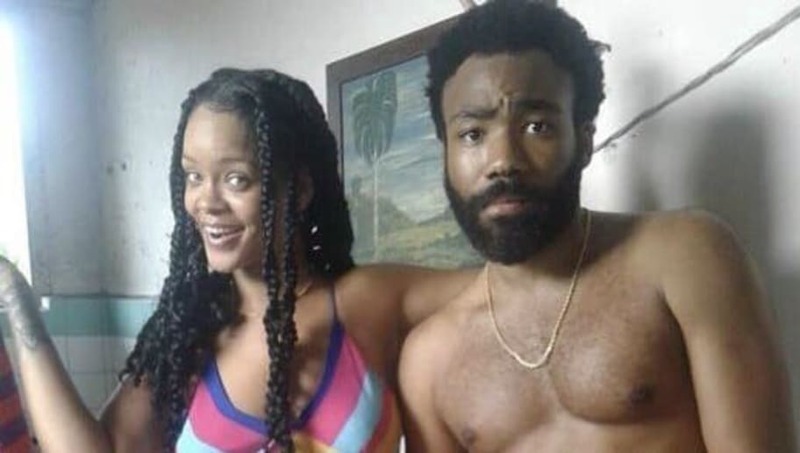 Fans of both artists Childish Gambino and Rihanna were ecstatic last August, as the pair was spotted together on a set in Cuba--and details started quickly emerging about their collaborative project. Reports claimed the stars were shooting a film entitled Guava Island, believed to be directed by Hiro Murai. By Nov. 2018, a trailer for the project dropped during Gambino’s PHAROS festival in New Zealand, and now, it looks like fans will finally be able to watch it. According to Pitchfork, the film will debut during Coachella Weekend 1, on the YouTube live stream. Gambino headlines the famed festival, taking the stage this Friday, April 12, as well as next Friday, April 19. According to various internet ads and billboards, Guava Island will premiere the night of April 13, when Tame Impala is scheduled to perform. Fans will be able to live stream both weekends for the first time ever, all on Coachella's YouTube channel here.